1. Tell us what your new book is about? Which one? Haha. It seems like I’m always writing more than one. 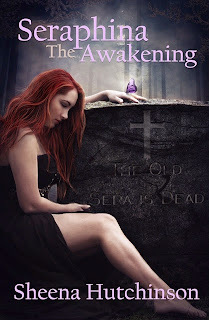 The next book to be re-released would be my paranormal series (book one) Seraphina’s Awakening. It’s about a young woman who always felt as though there was more to her life. After a freak accident she begins to find out that maybe she was right. 2. Your books consist of verbs like Discovering from ‘Discovering April’, Uncovering from ‘Officer Smith’. Was there initially a pattern using those terms, or did they come in later after the books were done? Actually this was never supposed to be a series. 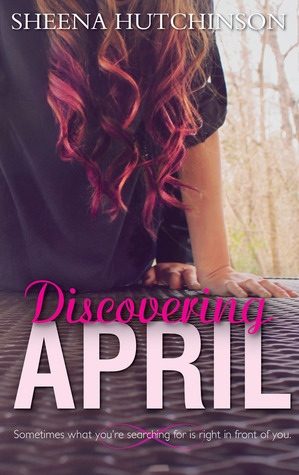 Discovering April was named because April pretty much had to re-discover herself. 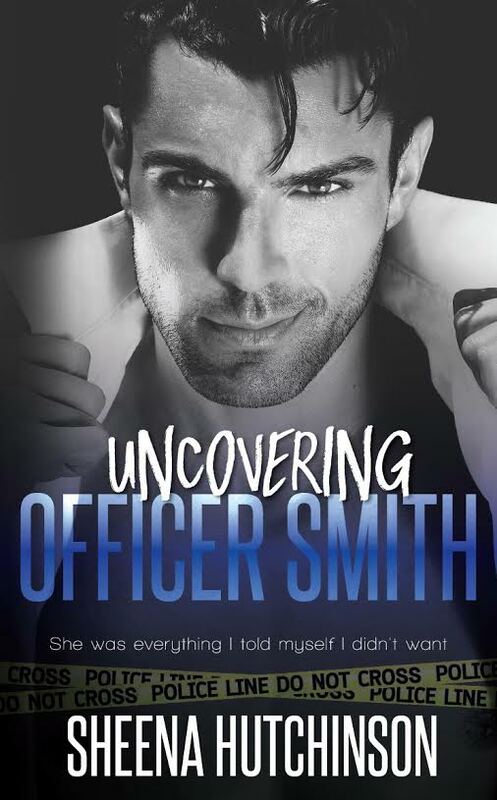 When the idea hit me, Uncovering Officer Smith was just a short story on my laptop (the first bar scene.) The idea hit me to connect this story with the mysterious John Smith from Discovering April and it all fell into place. It took me a while to come up with the title because I wanted something that flowed with Discovering. Fun Fact: The last book in the series will be called Recovering Regan. So, I’m keeping the pattern going. 3. What’s your writing process like? I don’t know if I have a process per say. I write when I’m inspired. It comes to me in visual scenes or dreams and I rush to get them all on paper while I can still describe them. There’s a draw back because I can’t force it. If I’m not inspired I will just sit there staring at a blank document. 4. Where does your inspiration come from? Like I said before, Dreams. I have crazy dreams in that weird state right before you wake up. I see things so vividly that’s what inspired Seraphina series and her mysterious dreams. 5. What made you decide to take the self-published/indie book route than traditional? I’m very impatient. I don’t think I would ever be able to wait for a traditional publishing contract. And, I’m so bad at keeping secrets. I wouldn’t be able to wait years before my works were in the hands of readers. Then there’s the fact that I’m a slight control freak. I want to choose my own cover and I want total control. 6. What’s your most and least favorite thing about being an author? My most favorite thing is connecting with readers. There is nothing like the feeling of hearing that someone loved your book or connected with your book. Because it’s drawn from internal feelings of mine sometimes, it just makes my heart happy. My least favorite would have to be writers block and when you’re stuck halfway through a story trying to get from Point A to Point C when B hasn’t been figured out yet. 7. You’re always on social media, connecting with fans online. How important is it for you to connect in that way? I think it should be very important to authors. How else will you get your name out there nowadays? Plus, I like to be accessible. If people feel personally connected with you, it can only help. 8. What do you do to fight writer’s block? 9. If you could go back 5 years, what would you tell your younger self? Pay attention in English! It would have saved me so much money on editing. 10. What advice would you give to aspiring writers and authors? Don’t stop reading and writing. To become better at something you must practice. To become an expert study the works of your favorite books, study their pacing, study their words, and sentence structure. Always write. 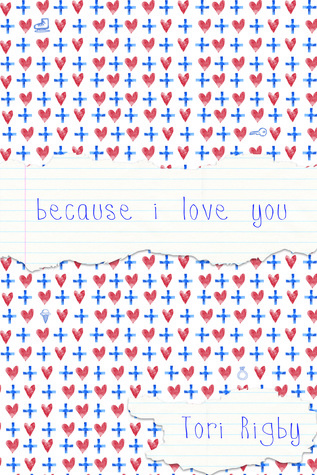 Even if it’s the dumbest thing, even if no one will ever read it. My first book came from a journal I kept. Some of my best lines are from my very own diary. They had the rarest, most bewildering power in the world, and how did her family choose to use this incredible gift? To line their pockets with cash and go sightseeing. I really like this book so far, but I hate sophia!! She's so ignorant, indulgent, and arrogant. She thinks that just because she has money and power that she can treat and think of people anyway she wants. And that's wrong!! Etta better get her together soon. What's your TQ this week? Leave comments below. Hosted by Bookshelf Fantasies, Shelf Control is all about the books we want to read — and already own! Consider this a variation of a Wishing & Waiting post… but looking at books already available, and in most cases, sitting right there on our shelves and e-readers. 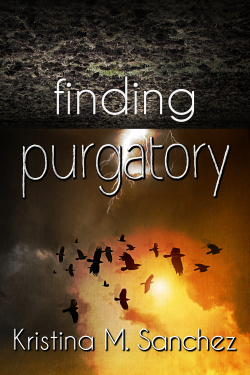 This week, the second SC post is on Finding Purgatory by Kristina M. Sanchez. I don't remember when I got it, actually. Kristina is actually a really amazing fanfic writer (you might know her as LyricalKris), so I bought her original book to support her. But I haven't gotten around to reading any of her original books yet. I know, I'm an awful fan, but I think I'm more hesitant because she's such a good fanfic writer, that it won't translate well in originals. I've seen that happen before; that when fanfic writers write mostly good content on FFN but when it comes to ofics, it doesn't end up well for them. But most of the reviews on Kris' books have been positive, so that makes me feel better lol. She's so talented and realistic, I know I shouldn't have any reason why she shouldn't be able to translate well with originals. But we'll see. Or it may be just me and I'm just making myself crazy! What book is on your Shelf this week? Leave comments below. No matter how much I needed him, I couldn’t let Neil throw his future away for me. He would do anything to keep me protected, comforted; I knew that like I knew the sky was blue. But I had to show him the same selfless love, or I’d forever regret holding him back. Which meant one thing: I was on my own. My stomach turned to stone. But what about Ethan? Even if I did manage to drop out of high school and find a job that paid a decent wage, I couldn’t provide for a baby by myself. 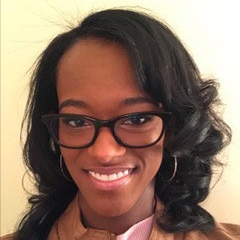 I couldn’t raise a baby in poverty—I wouldn’t. My son deserved so much more. But how the hell was I supposed to let him go? So I'm starting a new weekly feature on my blog, called Shelf Control, hosted by Bookshelf Fantasies! 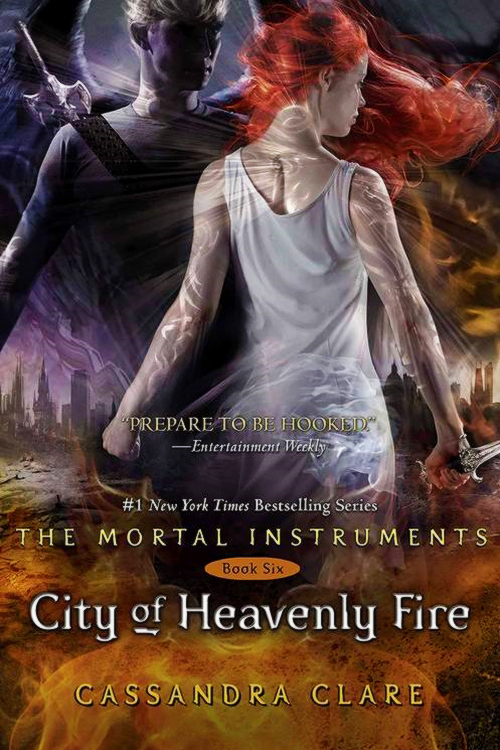 This week, the first SC post is on City of Heavenly Fire by Cassandra Clare. Because it was the last book in a series I really liked. It's been sitting on my bookshelf for so long, but I just haven't gotten to reading it yet. But I will. One day. Hopefully. What are your books on your Shelf Control list? Leave comments below. I see her out of the corner of my eye. Elsie Kahn. Elsie of Mr. Watson’s chemistry class fame, the girl who (accidentally?) set her homework on fire with the flame from her Bunsen burner. She got about as red as I’d ever seen a person get as Mr. Watson chewed her out in front of the whole class. It probably needs to be said about Elsie: she isn’t pretty. I’m not saying that in a mean way like my brother would, just in a factual way. She’s not. Her body is pretty nice, or at least it was the day of the chemistry fire, when she was wearing a maroon skirt that fell just above her knees and a clingy black shirt. And she’s got nice hair too—strawberry blond and silky. But it’s obvious even from where I’m standing that Elsie had been born with a cleft lip, and it didn’t get repaired right. You can see where the pieces of her upper lip don’t quite come together evenly. So Elsie isn’t pretty. Big deal. The fact is, she’s something even better than pretty. Owen comes out of the school at that moment, and I can see the pit stains on his shirt under his open jacket. He apparently worked up quite the sweat running to five different classrooms. But the good news is, he’s holding his Spanish book triumphantly above his head. “It was in the bathroom!” he declares. The bathroom? Are you kidding me? And now this book is going to be in my car? Lucky for him, I’ve got other things on my mind. Owen looks up in Elsie’s direction. He makes a face like he’s not thrilled about the idea, but then shrugs and sprints for the car. “I guess so. But she has to sit in the back.” Did I mention Owen has already claimed eternal shotgun? I look over at Elsie, and all of a sudden, I’m really nervous. If Elsie says yes, she will be the first girl to ride in my car, with the exception of my mom. I try not to drive myself crazy with the possibilities. I run my tongue over my teeth, because I don’t want there to be any spinach stuck in them (or whatever that green stuff was at lunch). Then I tighten my grip on the handles of my forearm crutches, and start limping awkwardly in Elsie’s direction. Elsie’s got her phone in her hand and she looks like she’s seconds away from bursting into tears. “Elsie?” I say. And of course, my voice cracks, like I’m freaking thirteen years old. I clear my throat, hoping she didn’t notice. Elsie is staring at me, which if you ask me, is kind of bad manners. First she stares at my face, but I’m okay with that. There’s nothing wrong with my face. All right, I’m not, like, Mr. Handsome or anything like my brother, but I’m not a guy who walked into a wall either. Then her eyes drop and she’s looking down at my crutches and my legs. That part I’m not thrilled about. I’ve got braces going up to the knee on the right and up to the hip on the left. Even with the braces, my left leg always seems to rotate inward so that my left foot points about forty-five degrees toward the right one. Elsie keeps on staring for what feels like five hours, but if I’m being honest, it’s probably more like fifteen seconds. Not that it makes much difference. It’s long enough, anyway. Elsie glances over at a group of girls standing nearby, watching us curiously. “No, thanks,” Elsie says, then she turns back to her phone. Elsie turns away from me, letting me know that there’s zero point in trying to persuade her. Yeah, as if I would. If Elsie doesn’t want to be in a car with me, then I’m not going to beg. Let her find her own goddamn ride home at this hour. Good luck with that, Elsie. I dig my keys out of my pocket and shrug like I couldn’t care less. “She found another ride,” I say. 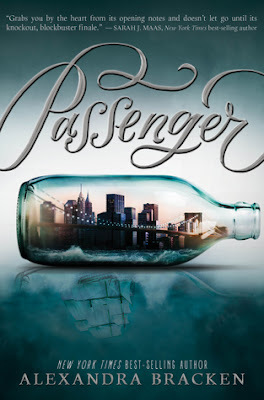 This book was so much fun to read! I liked how both Ethan and Laura had their insecurities and self-doubts about themselves. Ethan has cerebral palsy and forced to use crutches to walk, so he's always used to being the odd man out. Plus, his older brother Alex is more popular than him, but he doesn't hate him. Ethan knows that people gravitate towards his brother, but he doesn't feel devious hatred for him. He gets on his nerves a lot, but he knows that in the world they live in, Alex is going to get most of the hype than him. And he's okay with that. Same with Laura and her sister Nikki. Laura is the curvy, younger sister to the beautiful, tall and gorgeous Nicole Kramer. Now, she's the jealous one. She's the one who always resented her sister for being most beautiful and exotic and who gets all of the guys' attention. But when Nikki was raped, Laura felt like she had to put her feelings on hold to see her sister through her struggles. It kind of reminded me of how I felt about my own sister. She's this tall, dark, gorgeous creature who gets all the attention, and I'm me. I'm more of the quiet, reserved person who just lets anyone pass her by. So me and Laura both had that in common. The thing that kept hanging over all of the characters' heads in the story was who attacked Nikki? Who hurt her enough to almost kill her and send her to the hospital? Who did it? When Ethan suspected that it could have been Alex, his inner conflicts on what exactly to tell to Laura really came through in the book. I could feel his inner turmoil; he didn't want to keep lying to her, but he didin't want to lose what he just had when he was so happy. He finally had someone who will accept him fully, and he didn't want to lose that. But when Laura found out anyway, it was really sad watching their relationship crumble and end. Nevertheless, I hoped that in the end that everything would work out and they'd get back together, but honestly, I don't think it would have worked out. There's just too much history between them enough to start over. Their last dance at prom was lovely though. It showed that they could set aside their differences and have this one last night together. In conclusion, this was a really good novel by Annie Carr. I hope to read more of her books soon. Have you read How to Be Cool by Annie Carr? What are your thoughts on the book? Leave comments below. Mitchell Charles has a love for the ocean, beaches, scubadiving and all things of the sea. Hence why his inspiration for his latest book, The Kingdom of Oceana, came along so easily. He loves to explore the hidden depths of the sea, and what came of them before they were transformed to what they are today. Oceana is a creative entity of another ancient world of hero Prince Ailani and his personal and public struggles in a kingdom. 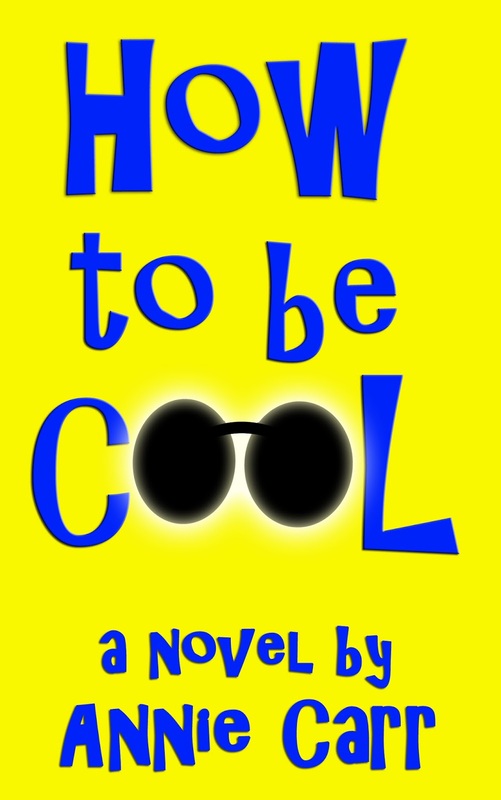 Mitchell talks about his new novel, which is on sale now, in a guest post below. The question I’m most often asked by my readers is, “what inspired you to create the rich fantasy world of The Kingdom of Oceana?” I spend a lot of time in Hawaii and the natural beauty of the islands, the aloha spirit of the people, and my adventures exploring the undersea tropical reefs with SCUBA gear are powerful creative catalysts. But an exotic setting is not enough to anchor a compelling young-adult book series. A captivating novel is about conflict. As I probed the psyche of my main character, Prince Ailani, I knew I had to send him on an epic hero’s journey, an arduous personal transformation from an unsure 16 year-old prince into a young man worthy of ruling a sprawling Polynesian empire. 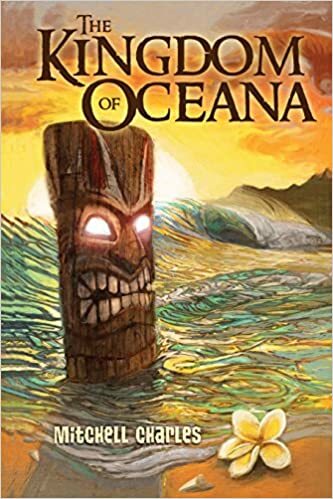 I had to put treacherous obstacles in his path – a 400’ fall from the top of a waterfall, a fire walk over burning embers, surfing crushing 40’ waves in knee-deep water, an encounter with a man-eating great white shark, and the chaos resulting when a 1,000 year-old curse is unleashed. While overcoming these obstacles was critical to our hero’s journey, they paled in comparison with the personal struggles Prince Ailani faced within his own family – a bitter rivalry with his older brother Nahoa; the unreturned love from his mercurial mother, Queen Ua; and feeling he’s never quite good enough to his father, the mighty King Haga. Ultimately, Prince Ailani learns that the world’s external forces are never as challenging as the ones faced at home. The real hero’s journey is not about the feats of bravery he encounters sailing around Oceana, but rather in finding the inner strength to confront his traumatic family dynamics. What is the case for Prince Aliani also holds true for many of us. To achieve greatness in the world, we must first heal the strife within our own family. What do you think of Mitchell Charles' book? 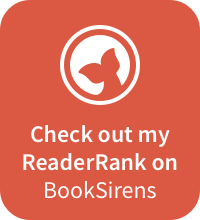 Have you read it? Leave comments below. 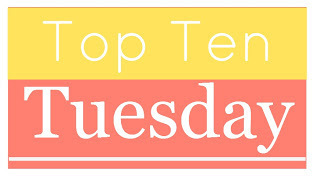 This week's theme: Ten Childhood Characters You'd Love To Revisit As Adults (i.e. a novella or something to see what they grew up to be) -- you could always just pick YA characters you've read recently you wouldn't mind revisiting in 10 years or so. Or you could pick 10 characters and guess what you think they'd be doing in 10 years or 20 years. 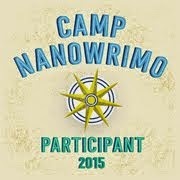 OR you could go the other way and wish for coming of age stories for adult characters you love. Like I said before, these books were all I read growing up. 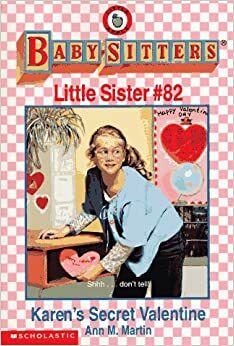 I'd love to see what Karen (Kristy's little sister) would be up to, still causing mischief around the house, I'm sure. I don't really remember all of the books, but my niece and I loved reading these books as a kid. 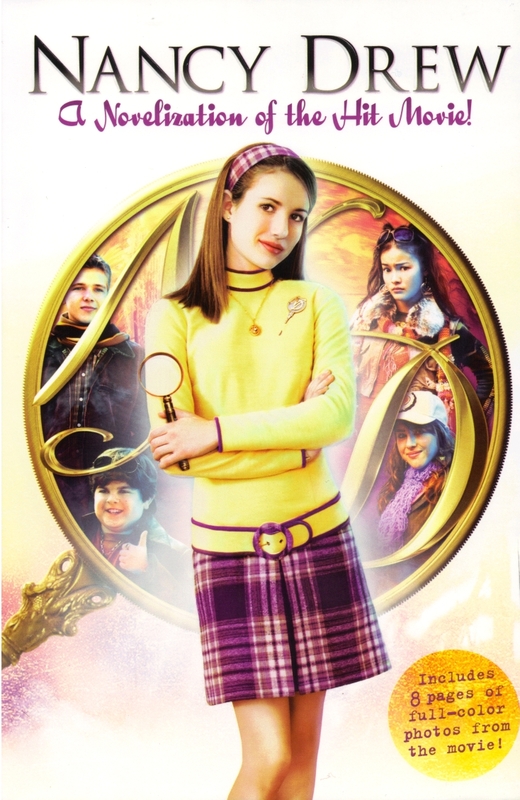 And then when the movie starring Emma Roberts (pictured above) came out, I was so excited. I used to be such a stan for Emma back then! I didn't read a whole lot of these, but from what I remember, I liked them a lot. 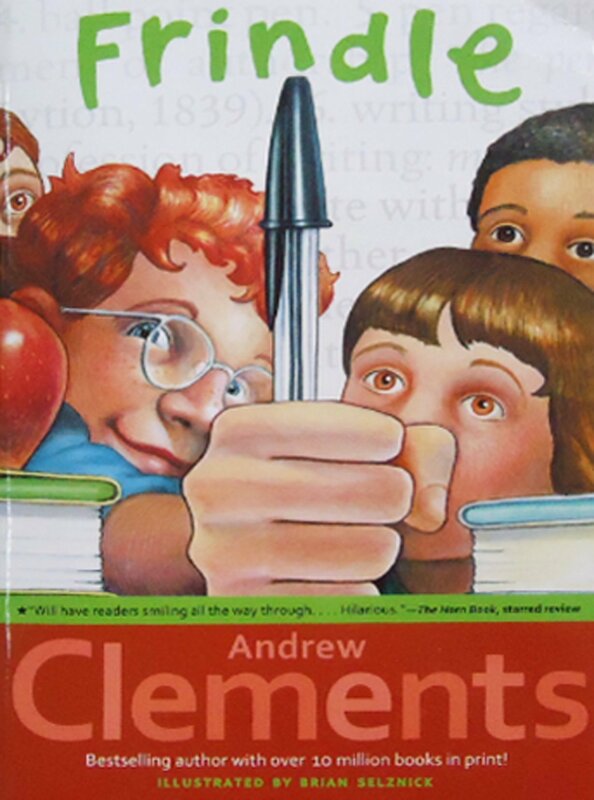 I don't even have to say how much I loved these books!! I still do! Mind you, I didn't read these until high school, but it still managed to make a huge part of my school life. Thanks to my best friend Kim for introducing me to one of the best series to ever encounter my reading life. This books was so adorable, and I had a lot of fun reading the book, and the movie was so cute, as well. 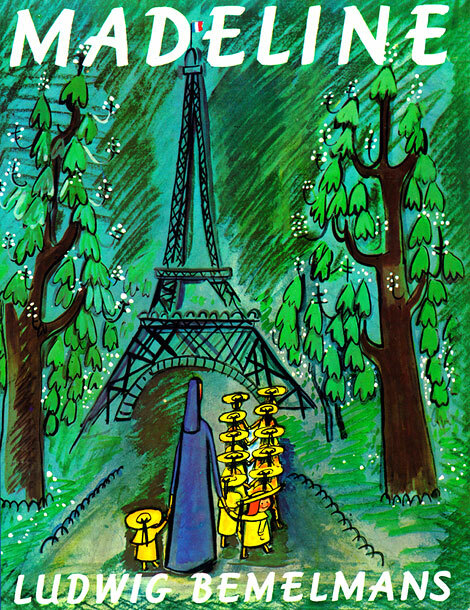 I'd love to be able to go back in time and see what Madeline was up to as an adult. I'd love to see how Wilbur and Fern are as adults, and Charlotte's three little baby spiders. 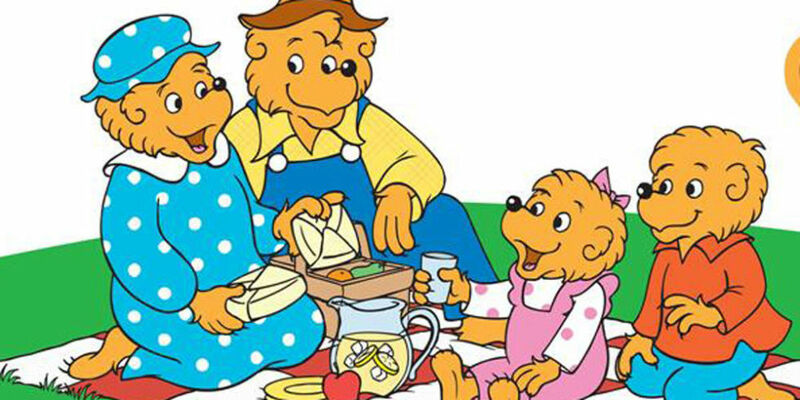 I'd love to see how the baby bears are doing as adults, plus Mama and Papa Bear. I'd love to see what Nick and his friends have created as adults, especially since Nick's "frindle" word caused so much controversy in the story! I don't think Pooh ever ages, so it wouldn't be hard to go back and see what he'd be up to, with Piglet, Eeyore, Owl, Rabbit, Tigger, and more in the 100 Acre Wood!! What are some of your childhood characters that you want to see as adults? Leave comments below. Book Blitz GIVEAWAY: TONE DEAF by Olivia Rivers: ENTER to WIN a $20 Amazon Gift Card!! 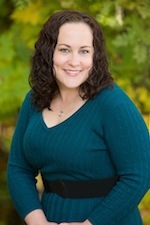 22 NY Times, USA Today, and International Bestselling Authors. 22 of today’s most romantic, bewitching titles. Prepare to Be Witched with 22 tales of magical and mysterious Paranormal Romance. All one million words of this witchy romance boxed set will leave you spellbound, but this collection won’t last long. 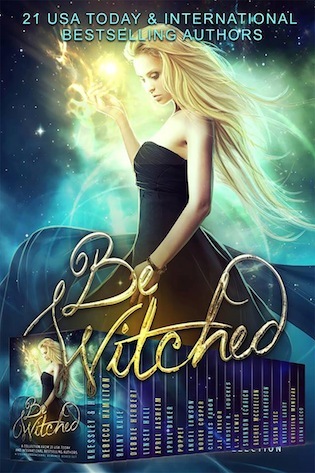 This limited edition omnibus is available for a limited time and packed with today’s NY Times, USA Today, and International Bestselling authors, bringing you nothing but the best of the best in the witch romance genre. With over 100 hours of reading, you’re paying a penny per sixty minutes of enjoyment. Grab this collection today before it’s gone for good!